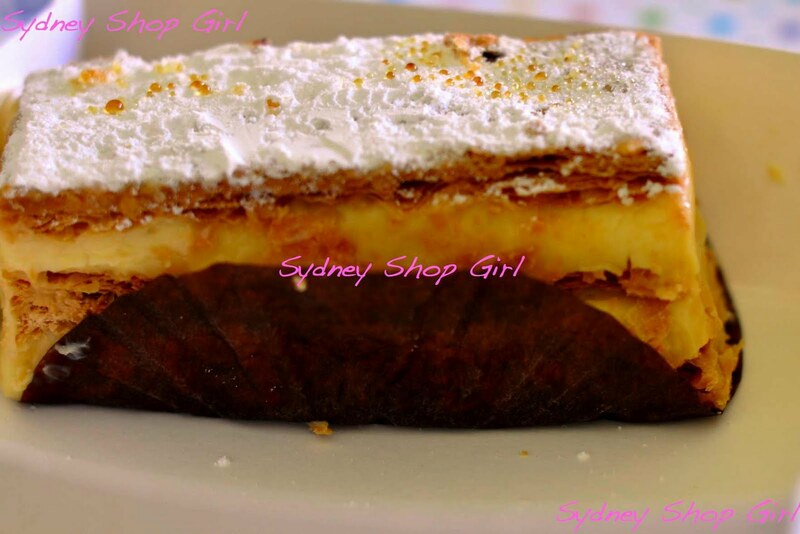 Sydney Shop Girl: A Virtuous Saturday Filled With Vanilla Slice and Vegetables. A Virtuous Saturday Filled With Vanilla Slice and Vegetables. Oh the sun! It has been a glorious day here in Sydney. Even if I did spend the morning at work. Still, it was pleasant driving back and forth with the sun on my arms. There are so many beautiful colours on the trees down our street at the moment. I actually get to appreciate them in the morning now that there's enough light when I leave for work. Must get around to learning the names of the flowers one day. Mr SSG has rediscovered his sweet tooth. A few weeks ago, he came home from Cavalicious with a passionfruit cheesecake. Today, he returned with this more modestly sized vanilla slice. He also bought me some sushi for lunch. I think I have to be careful not to over play the 'I have to work all weekend' card. The vanilla slice was delicious. We shared it rather messily but that is some seriously flaky pastry sandwiching those layers of creamy custard together. Bliss. I'm ashamed to say that some pretty dodgy dinners have been going down at SSG Manor this week. I confessed to eating toaster muffins the other night and there was a night I had hot cross buns. So I've been making amends today. I've just made Julie Goodwin's Pumpkin and Eggplant Thai Curry from this month's AWW. All those vegetables were a welcome sight for carb loaded eyes, let me tell you! I'm all smiles and virtuous again again. The curry was a great success. Very easy and FULL of vegetables (and a couple of stray chicken thighs I found in the freezer. I can almost smell the eggplant curry. 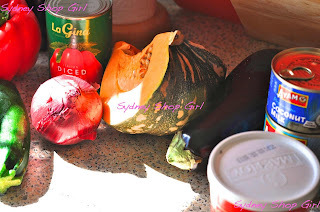 Eggplant is my fav vegetable - that recipe is now on my "must-try" list...thank you! I think it's a Tibouchina. They flower in Autumn. 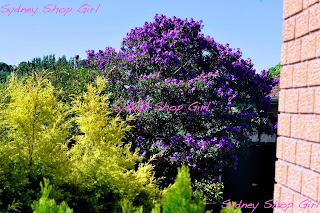 Jacaranda flowers are much paler and they flower in Spring. I spent this arvo prostrate on the couch with this month's AWW. Was looking at the recipe you used, wondering if it was any good. Will have to give it a go. Yours looks delicious. I love jacarandahs. I don't do nature but I appreciate a jacarandah tree. There is a song by The Gin Club called Drug Flowers. It is about jacarandahs. I think the jacarandah is referring to drugs. Pretty lyrics often are. I will be cooking with eggplant tomorrow. Thanks for inspiring me. It was such a beautiful day today! That curry looks divine. I have lazy dinners (ie: toast) more often than I should, though I have been a roll lately with the cooking! Beautiful jacaranda. The curry looked pretty good too. that vanilla slice looks deliciously decadent!!!! Beautiful post. Simple, but each and everything is beautiful and evocative. One of my favorites. Hello Anonymous! 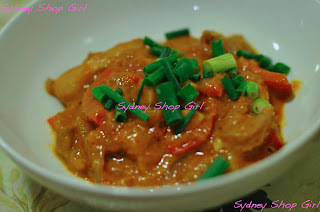 I've just posted the recipe on today's post.